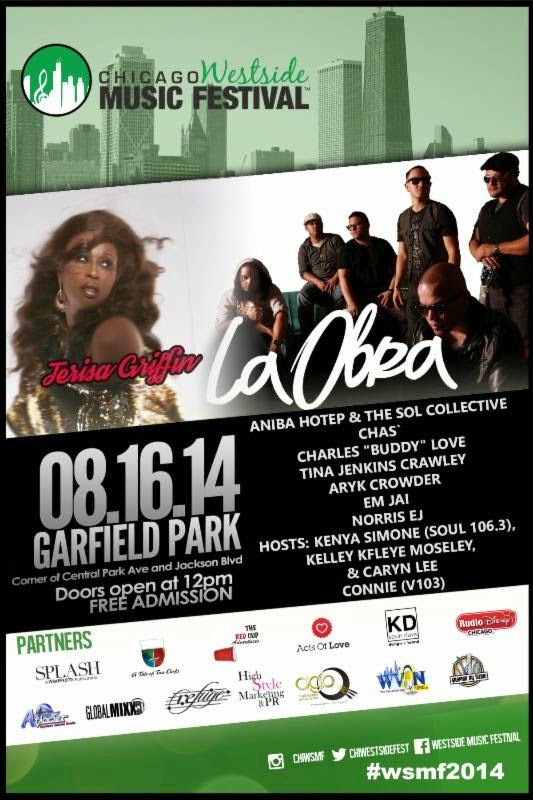 Windy City Carnival and Chicago West Side Music Festival! Everyone knows Summertime Chi is the best time of the year. There's so much going on in the City, from special events, to great rooftops and waterfront spaces to frequent. This weekend, Midway Plaisance in Hyde Park is turning Caribbean with a midwest version of Carnival! Check out these details and get out there!! On Saturday, August 16, 2014, from 9:00 am to 9:00 pm, thousands of Carnival goers will descend upon the Midway Plaisance, located at 1130 Midway Plaisance North, on the historical campus of the University of Chicago, and the 5th Ward of the Honorable Alderman Leslie Hairston to take part in the 2nd Annual Windy City Carnival. Windy City Carnival is a cultural snapshot of how nations throughout the Caribbean and West Indies celebrate life. In these countries, the celebration typically happens just before lent, however, in Chicago, we celebrate the 3rd Saturday in August of each year. 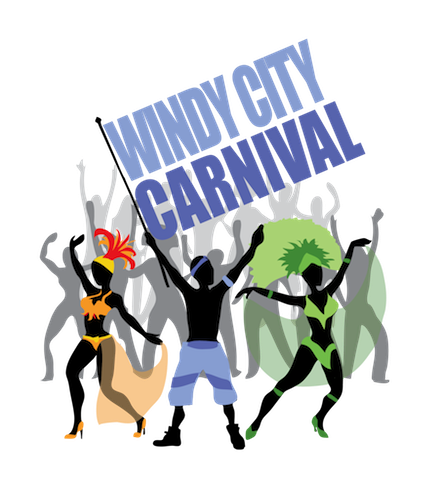 Now in existence for its 2nd year, Windy City Carnival is currently one of the newest Carnival celebrations to hit the scene in North America. The event is free and features the traditional parade of bands competition, where masqueraders dress up in colorful costumes and dance to an eclectic array of soulful rhythms pumped out by Windy City Carnival's Elite Mix Masters and other premier Caribbean and West Indian Djs. Event goers will also enjoy a host of vendors boasting delectable cuisines and beautiful crafts from nations throughout the Caribbean, West Indies and Central America, such as Trinidad, Jamaica, Belize, and Honduras. Annnd....for those of you who love 90s music and the smooth sounds of R&B music, head over to the Chicago West Side Music Festival! 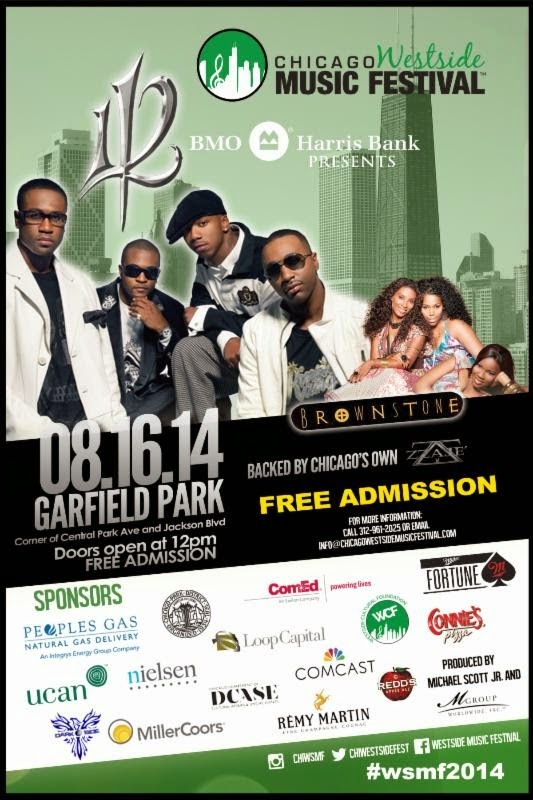 112 will be performing, along with Brownstone, Terisa Griffin, and more! This concert shouldn't be missed!